Many bank account holders are unaware of the various charges banks levy on them, other than the general charges. From using ATMs for withdrawing cash to depositing money, banks are charging their customers in various ways. 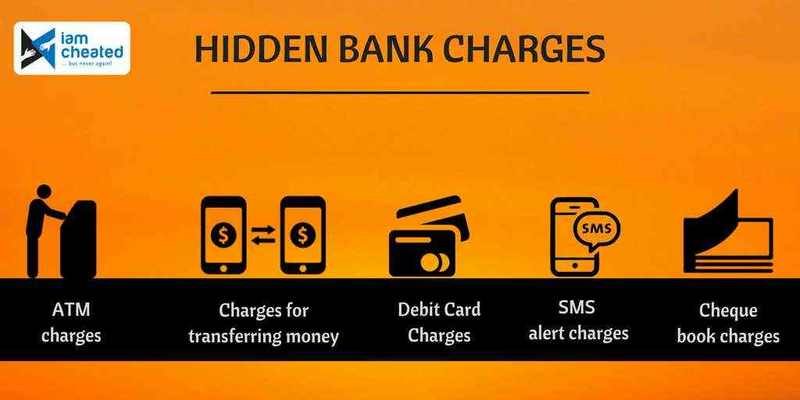 These are some of the hidden bank charges you don’t know much about. Banks provide you a fixed number of free monthly ATM transactions and after completion of these free transactions, you will be charged for withdrawals. ATM transactions include both financial and non-financial transactions. Non-financial transactions are balance enquiry, mini statement, changing ATM pin and opening fixed deposits through an ATM. After the completion of the free monthly ATM transactions, you will be charged even if you withdraw money from the same bank. The amount charged varies from bank to bank. Banks have a service charge for transferring money using online money transfer facilities such as NEFT and RTGS. The service fee will be between Rs 5 to Rs 25 for every transaction. The fee charged will depend upon the amount transferred, type of account and the bank. Almost all banks in India offer debit cards to their account holders. But, this debit card is not free. Many banks charge customers for the debit cards issued to them. Even service tax and an annual fee are also applicable for the debit card. Now, almost every bank offers mobile banking and SMS alert services to their customers. If you opt for SMS alerts, you will receive an SMS whenever you make any transactions. Banks have started charging for SMS alerts. Usually, bank charges Rs 15 per quarter, for SMS alert services. Bank charges you for issuing a new cheque book. The amount charged varies from bank to bank. Usually, the charges will be around Rs 100. Higher category customers are not charged for cheque books.